Laura Dunn has a special place in the hearts of many. Friend, daughter, co-worker, mentor are many hats that this beloved woman wear. Yet, the best identity that she holds best is Daughter of a King. 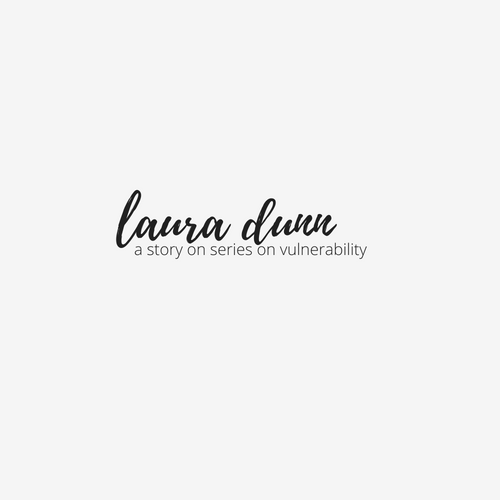 Laura has a devoted spirit that pours as an overflow of the Love she encounters. Laura is a Regional Director for the Western Plain region for Chi Omega. Her interactions with women spread wide and deep. Laura is the leader of the "I'm on your team" team as she is a mentor to Sarah Amend, Maycee Jones and myself- extending her grace and love to each of us. Laura has a way with words and is the ultimate storyteller. Stories roll around in her creative little mind. Today, I get to share the gift of Laura Dunn with you all. This will not be the only story from Laura, just you wait. My reflection told me a lot of good things, or so I thought. My head was clear and my heart was confident; I had it all together. Soon, I realized I’d been staring at myself too long, thinking of how glad I was to have declared a major, and looked away. It was time to go to one one of my new Communication classes. I chose a class called Interpersonal Communication, because I knew I was good at what I understood it to be. I made it through sorority recruitment on both sides, so really what else could prepare me better? I walked into the small classroom and chose my seat in the middle of the room, making sure I was blending in. Absorbed in my phone and determined not to have to make small talk, I barely registered anyone sitting around me.Out of the corner of my eye, I vaguely noticed a girl with too much makeup on, a guy who I was sure hadn’t showered in a few weeks, and another guy who was well dressed and engaging those around him energetically. I couldn’t be bothered to turn to look at the rest, and I lost interest fairly quickly. I let out a sigh, and continued to pretend not to notice everyone around me. We went through the syllabus, and I left class confident this would be a breeze. Not too much structure, which I didn’t hate, and not too many assignments. I guess the professor wanted a more unorthodox class, and I was excited for the challenge. One day, our professor, who could have easily passed for a student, came to the front of the class carrying a bowl. Every eye currently in the room became fixed on the foreign object, trying to decipher its meaning. “Today the fun is really going to begin,” he started after the rest of the class trickled in, “and we’re going to do something really bold”. The room was screaming with silence as 20 bodies shifted unconsciously forward in their seats. Gazes flicked back and forth between his youthful face and the innocuous bowl on the table. Dumbfounded, we all looked around at each other. My heart was beginning to beat fast as I tried to piece together what was being asked of me. This was just supposed to be a class. A class I’d do well in, and get some kind of satisfaction from the small tidbits of information I was given. I saw more than a few people glancing toward the door, trying to decide if they could bolt or not. I realized we were all on this rollercoaster and we weren’t getting off. I guess we all telepathically agreed this was OK, because somehow we ended up starting to write, or at least poise the pen over the slip of paper. My pen was perched there, too. Of course I had things to write, things I didn’t want to face, or put out into this room. How far would people go? What if I went too far one direction, and other people didn’t say anything like it? What if they knew what I put in there? All these questions swirled in my mind, but the pressure of people already turning theirs in forced me to make a decision. In my panic, I went for a lame, safe answer and stumbled forward to put mine with the others. I sat back down, and my heart began beating even quicker as he shook up the bowl and started to pull the papers out. Stories of assault, abuse, illness, loss, rejection, homelessness, and overall failure started spilling out as the slips of paper began to pile up next to the bowl. The room was even more silent than before, and everyone either had their eyes locked on the professor or down at their desks. I was frozen with my back as straight as it may have ever been, and I watched the professor’s face intently. I felt like such a spineless idiot. They had been so brave, and I had been scared, so I did what I thought was protecting myself. As we all scanned the room, I did see something different in the people sitting around me. My classmates’ eyes were as wide as mine, and there was an essence of openness from each of them that I’d never seen in a class before. I didn’t believe we’d all be best friends, but we had experienced something a random group of people would most likely never experience again. It didn’t matter who wrote what- that wasn’t the point. That girl with too much makeup, just looked like another human being with a human life, the guy who looked like he hadn’t showered seemed so much more approachable now, and the outgoing guy was on the same energy level as everyone else. We were past the surface, and we could all see the potential depth of all of each other. Class didn’t go on long after that. We were dismissed early, and as I left the building, the fresh air hit me, and I finally felt the tension seeping out of my body.I thought back to earlier in the day when I was just staring in the mirror, absorbed in myself, and then how I made these snap judgements about people I barely knew. I couldn’t relate to that person as much anymore.